Over the last two weeks I have read 3 fantastic books. Two were books I had pre-ordered the second I could, and the third was a slightly older book that I finally pulled off the to-read shelf. Every one made me a happy reader and left me wanting more. I've talked about my love for this series before. Brennan's vampires exist is a thoroughly f'ed up world, with an equally messed up family dynamic. This time around, Fort and Suze have to solve the murder of the leader of the werebears, deal with Fort's increasingly vampiric nature, and the implications of the frailty of the Scott family matriarch. While I love Fort and Suze's ever evolving relationship, it's the almost-vampire's interactions with his older sister Prudence that were among my favorite parts of the book. She's terrifying, but she also loves her little brother, in her own totally inhuman way. I really can't wait to see what happens next. This was a fantastic book three, and while it is setting things up for more hazards in Fort's near future, it also didn't feel like a middle book or set-the-stage book for me. We got character progression, a conclusion to the main issue, and more trouble on the horizon. Just what I was looking for, and it means I will be hitting that pre-order button for book 4. This is a new Paranormal Romance series by one of my favorite authors. Loads of action, phenomenal supporting characters, humor, interesting magic system, slow-burning romance, and did I mention action? Nevada Baylor, a PI, has been tasked with the seemingly impossible job of bringing in a bad-boy pyro. She crosses paths with Mad Rogan, a very powerful mage on his own manhunt. Banter, power and sparks fly as they race to save the city from an ever growing conspiracy. While a faster-track romance than the Kate Daniels books, this is still a slower moving romance than you'll see in most romance series. Nevada is different from Kate, less brash and stabby, but also completely relatable and endearing. Was rooting for her from page 1. Rogan is very alpha without being an alpha-hole. That is very important for me in romances. I also really liked the family interaction. The story is definitely not over. I will be pre-ordering book 2. This is a Young Adult Fantasy completely devoid of romance or angst. In fact, apart from Martha Wells' Emilie, Jennifer Strange is one of the most mature main characters that I've encountered in a young adult book in a while. By mature I don't mean sexually or in a "too grown up" way, but in her sense of responsibility. At 16 she is the de facto manager for a group of wizards. She is resourceful, logical, and has her own Quarkbeast. It kind of reminded me of the Luggage from Pratchett's Discworld, except not so boxy and with more teeth. The world is magical and unique and surreally satirical. 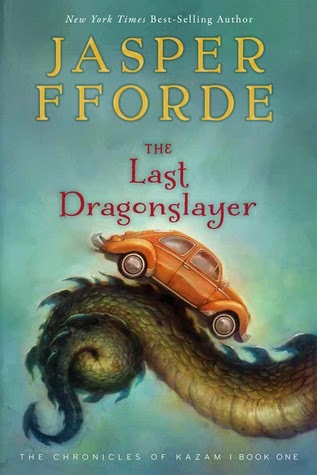 With a despotic King, a country on the brink of war, corporate shenanigans, Big Magic, and a prophecy that the last dragon will be killed on Sunday, it will take all of Jennifer's ingenuity to come out on top. Or at least sideways and not six feet under. I really liked this book. It was a slightly slower pace but had no problem holding my attention. I will be reading on in the series. 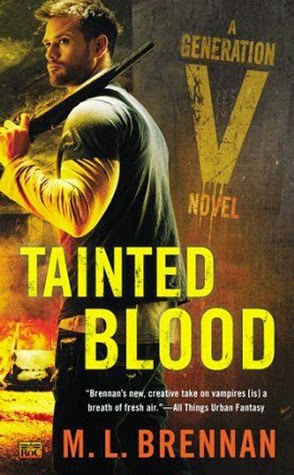 My library system is taking its time getting Tainted Blood, so I gave up and bought it last night (dead tree). If I win a copy, I will donate this one, but I wanted to read the series again this weekend. Suzume rocks!